2 and 3 bedroom units. 1 or 2 car attached garages. SELLING a home? 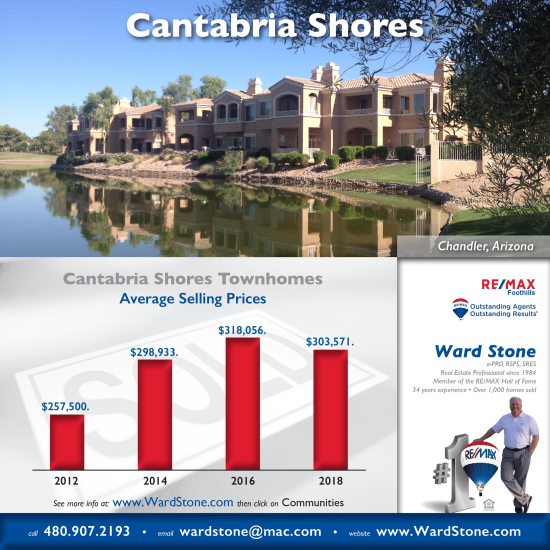 Are you thinking about selling soon? Do not settle for thousands less because you hired the wrong agent. To get the best price for your home, you need an experienced, full-time professional with a superior multi-media marketing plan. Experience and marketing does matter! Contact Ward for a professional Market Analysis on your home. Data source: Arizona Regional Multiple Listing Service (ARMLS). Data as of 12-13-2018.